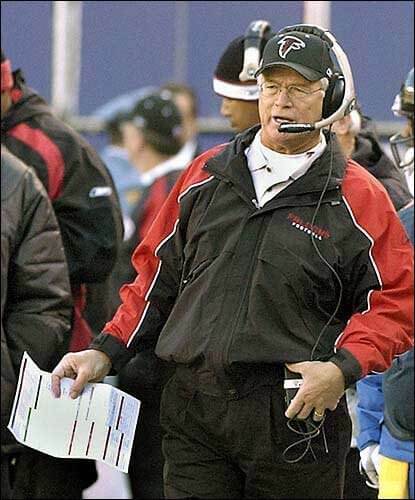 In 1998, under recently acquired head coach Dan Reeves, quarterback Chris Chandler and running back Jamal Anderson the “Dirty Bird” Falcons had their greatest season to date. On November 8, they beat the New England Patriots 41–10, ending a streak of 22 losses at cold-weather sites. The team finished with a franchise-best 14–2 regular season record and the NFC West division championship. On January 17, 1999, the Falcons upset the top-seeded Vikings at Minnesota in the NFC Championship Game 30–27, in an exciting overtime victory. However, in their first-ever Super Bowl appearance, they lost 34–19 to the defending champion Denver Broncos in Super Bowl XXXIII.